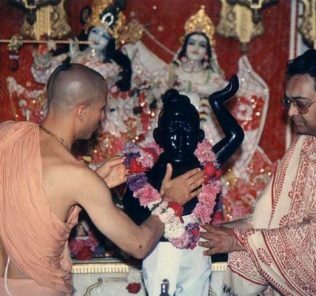 I have heard the story of Gopal Guru Goswami and Lord Chaitanya, but I don’t find it philosophically convincing. When we don’t take the Deity to the washroom, how can we take the namavatar to the washroom? Does the Bhagavad-gita teach that everything that happens is good? Lord Brahma replied, “There are no rules and regulations to chant this maha-mantra. It should be chanted always irrespective of whether one is in a pure or impure condition. Thus it is clear that ,there are no restrictions for chanting of Hare Krishna Mahamantra . external conditions may be pure or impure ,that does not matter. Thus one should carefully avoiding the ten offenses against the holy name , and with devotional mood of surrender , should chant the holy names of Krishna ,irrespective of the external situation .